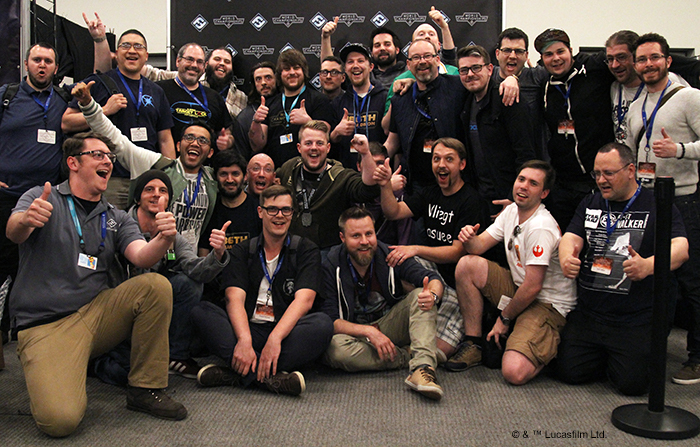 There are a number of changes to Fantasy Flight Games Organized Play headed your way in 2019, and these include some significant changes to the World Championship tournaments for our competitive games! First and foremost, our World Championship tournaments will be held at four different times throughout the year, rather than two. Our X-Wing™ and Star Wars™: Legion World Championship tournaments will be invite-only. 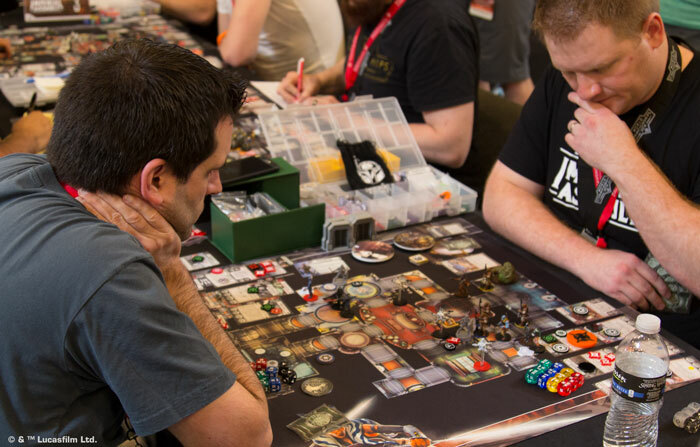 And the World Championship tournaments for Star Wars™: Armada and Star Wars™: Imperial Assault will be held at AdeptiCon 2019 in Schaumburg, Illinois, rather than at the Fantasy Flight Games Center. These changes are not wholly indicative of the shape of things to come—apart from the Organized Play team's intent to reevaluate the best ways, times, and places to hold these top-level events. Apart from that, 2019 represents a year of transition, and we will be working throughout the year to improve our programs and events, meaning that we're aiming to deliver better and better play experiences—including those you might enjoy at the pinnacle of your game's competitive Organized Play: the World Championships! 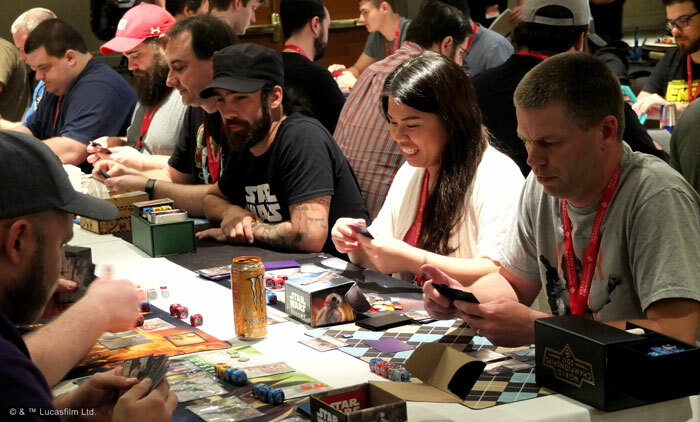 The World Championship tournaments for Star Wars: Armada and Star Wars: Imperial Assault will be held this year at AdeptiCon in Schaumburg, Illinois. 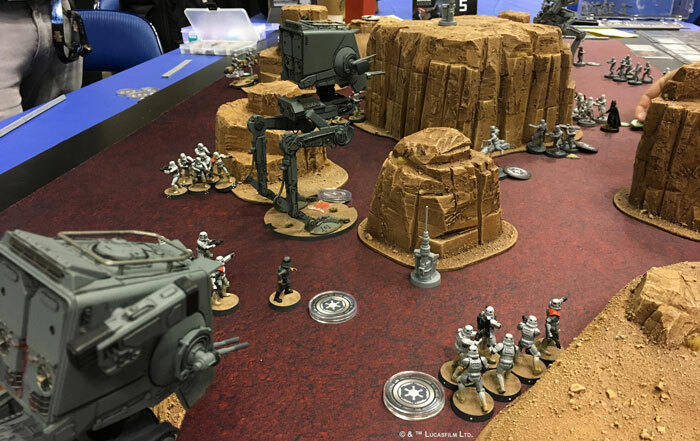 AdeptiCon runs from March 27–31, the 2019 Star Wars: Armada World Championship runs March 28–29, and the 2019 Star Wars: Imperial Assault World Championship runs March 30–31. The initial public offering for these tournaments has sold out. Players who qualified for these events through Regional Championships, National Championships, or previous World Championships have until 11:59 PM CST (UTC -6) on March 3 to reserve their seats. Any remaining seats will be made available to the general public at 12:00 PM CST (UTC -6) on Monday, March 4. The first-ever Star Wars: Legion World Championship will take place June 21–23 at the Fantasy Flight Games Center in Roseville, MN. This highly exclusive event is limited to the Top 8 finishers from the High Command Invitational at AdeptiCon. If you have earned a seat at the High Command Invitational, be sure to plan your trip to AdeptiCon and use our form to let us know you're coming. The exact details of the 2019 World Championship tournaments for both X-Wing and Star Wars™: Destiny have yet to be finalized, but they will take place in the fourth quarter of the year. The 2019 X-Wing World Championship tournament will be an invite-only event, showcasing some truly top-level play from those players who have earned their seats by qualifying at System Open Series, Hyperspace Trials, and National Championships. The tournament will be preceded by the 2019 Coruscant Invitational, which will see the winners of the year's System Open Series events going head-to-head on livestream the day before the World Championship begins. The 2019 Star Wars: Destiny World Championship tournament will remain open to the general public. Registration is not yet open. We will open registration once we have finalized the event details. Note: Players who earn more than one reserved seat for either X-Wing or Star Wars: Destiny should fill out the appropriate form once per qualification once it is made available. 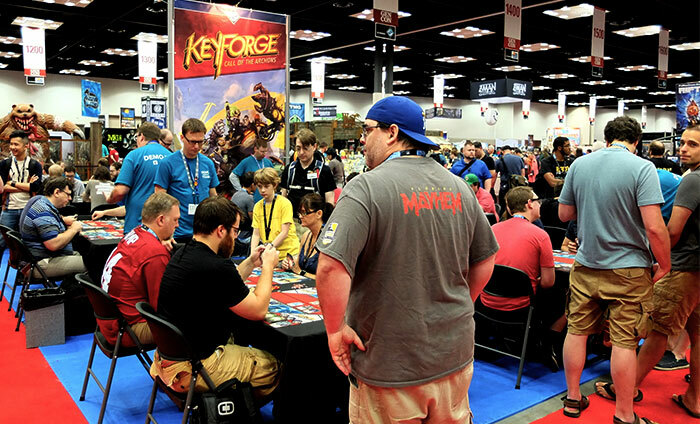 KeyForge has enjoyed a tremendous reception thus far, and our Organized Play program is off and running. While the Organized Play is building toward a World Championship in 2020, we are planning to celebrate all things KeyForge with a special, massive Celebration Event in late 2019. We are still finalizing details and will share more information about this event—and how you can be a part of it—as soon as we are able. 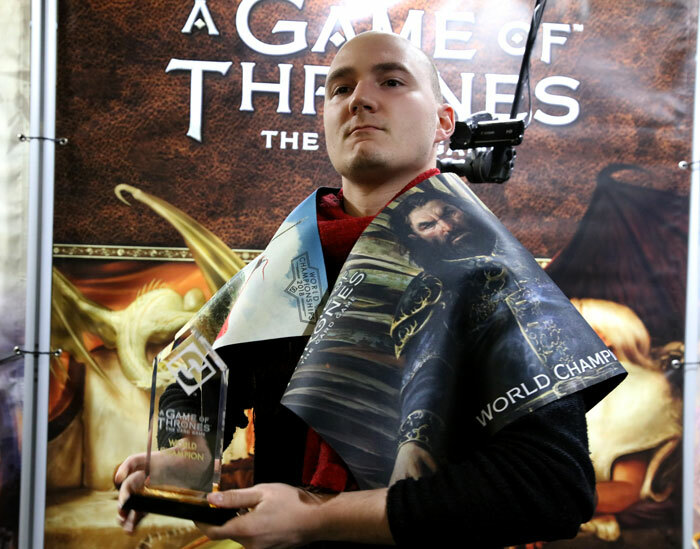 The 2019 World Championship tournaments for A Game of Thrones: The Card Game and Legend of the Five Rings: The Card Game will take place in the fourth quarter of the year at the Fantasy Flight Games Center in Roseville, MN. Registration is not yet open for these events. You can expect more information about this event in the weeks to come, and we will open registration with the full announcement of the event details. Note: Players who earn more than one reserved seat for either A Game of Thrones: The Card Game or Legend of the Five Rings: The Card Game should fill out the appropriate form once per qualification once the forms are made available. Meet Players. Make Friends. Enjoy More of Your Favorite Games. Do you have to be a brilliant tactician and world-conquering hero to enjoy the action at your favorite game's 2019 World Championship tournament? Absolutely not! Sure, the World Championships are the pinnacle of our competitive games' Organized Play programs, but that "pinnacle" represents not only a high level of skill, but also of investment, identity, community, and enthusiasm. Attend one of these events, and you'll find yourself in the company of new friends who share your love of gaming and your thirst for sportsmanlike competition. Even if you can't attend, you'll be able to join your game's World Championship community as a spectator. Thanks to our livestreaming and social media coverage, you'll get a small taste of what it would be like to attend, you'll get to follow all the dramatic turns of events, and you'll learn new tricks and tactics from the world's best players. Attend if you can. Watch if you can't. Be a part of the World Championship community. We hope to see you for our 2019 World Championships! Fantasy Flight Games Organized Play exists to help you meet more players, make new friends, find places to play, and have more fun with your favorite games!